In my 21 years of operating CysticFibrosis.com and from reading over two million messages in our forums, I’ve learned that CF patients generate fascinating data that is valuable to other patients, caregivers, doctors, pharmaceutical companies and academic institutions. People with CF are always evaluating what might help their health, and how to best organize their lives, treatments and medical information. You are the front line of CF research. But how do we organize and analyze all this information? Last September at the Global Genes Conference for Rare Diseases, I met Patrick Merel, PhD. 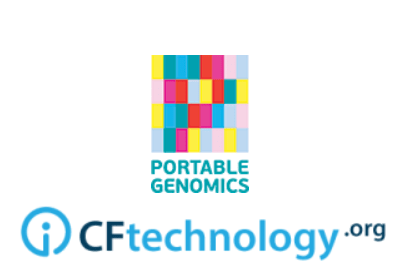 His company, Portable Genomics, had already designed an app for CF. This was a surprise, coincidence and perhaps fate. The more I learned about the app, the more impressed I became. Why was I so impressed by this app? Organization: People with CF have a LOT to organize. You can be taking over 30 medications at a time and using numerous types of durable medical equipment. Our CF app allows you to track numerous treatments, mood, calories, medical records, test results, weight, glucose levels and more. You can even customize what to track, and inputing information is simple. Privacy: This CF app and its creators do not use or own your data. Your data exists on your phone and in your cloud. The app works with the Apple Health app on your iPhone which is a private cloud. Optional Sharing: You decide with whom you want to share your anonymous health information: doctors, researchers, pharmaceutical companies. And if a project involves compensation, you will be paid. So, this platform allows for easy information input, customization, ownership over your data, and the ability to share with caregivers, medical providers, researchers and the larger community. Patrick and I are presenting this app and our partnership to the Data and Technology in Clinical Trials Summit in Philadelphia this week. We know from years of experience that CF data is highly valuable. Researchers need information to be able to answer big questions such as what is the role of genetic mutations in medication efficacy? How does the environment impact lung function? Can diet prevent certain comorbidities? How does exercise influence bacterial colonization? Does mood impact recovery from exacerbations? These questions and more are answerable if people track themselves and their data. People with CF can also help other disease communities. Scientists in other areas have discovered personalized medicine through the efforts of this community and its clinical trials. There are many more wonderful things that can come from CF data. There are 7000 known diseases, but only 200 of them have medication. We are even working with companies that develop apps for things like air quality, which affects the health of everyone. We are asking for volunteers for a pilot study using the app and personal spirometry. 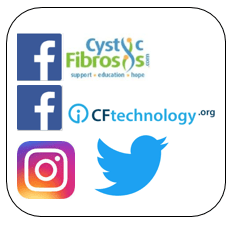 If you are interested in participating, you should check out the description of the app here and our pre-study done by cysticfibrosis.com member and social media director MissAlexbp. Contact [email protected] if you want to be part of this new paradigm! I’ve been dedicated to the CF community since 1996 when I and a fellow teacher who had CF created the message boards of www.cysticfibrosis.com. Later, in 2003, I transformed these forums by connecting them to a searchable database that stored every message written by our members. I’ve read almost all of the two million messages in our forums, essentially studying the CF community for the past two decades. I’m so proud of the education, support and hope that our members have contributed to the forums — a wikipedia for CF. We are open to the world to explore, discover and innovate in CF and in understanding patient and caregiver empowerment. Written by: Imogene on February 20, 2017.